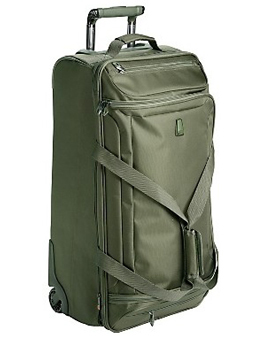 This lightweight wheeled duffel is collapsible and folds down for easy storage. 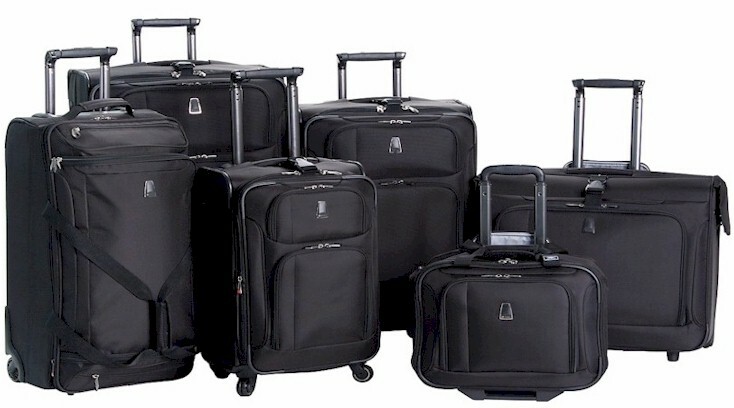 It has multiple pockets for organization and it can accommodate a large amount of packing. 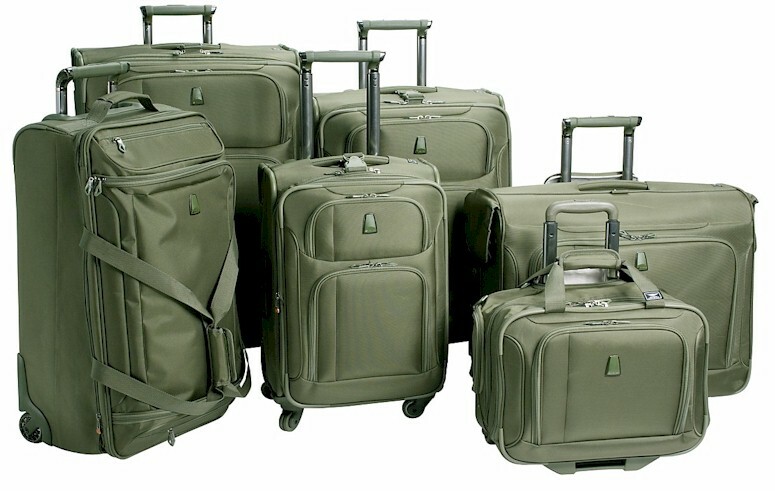 On the Outsidethese pieces have a Delsey HELIUM graphite/fiberglass frame (the same fiberglass used in the construction of golf clubs & tennis rackets) along with durable Bullet Proof™ Ballistic Nylon with EVA foam backing. 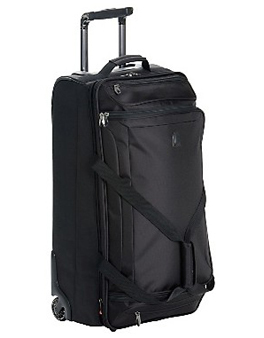 A recessed locking Trolley™ handle self repairing interlocking #10 nylon coil zippers and an adjustable tote a long clip are all standard. All these features found throughout the Delsey HELIUM Breeze Collection. Comes in back or sage green.